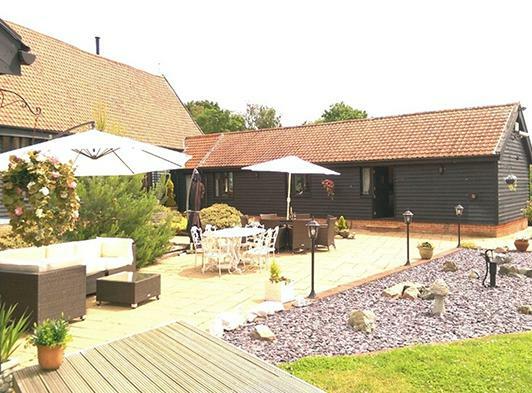 Nestling in the picturesque Suffolk hamlet of Badley is the perfect country retreat Doves Barn. 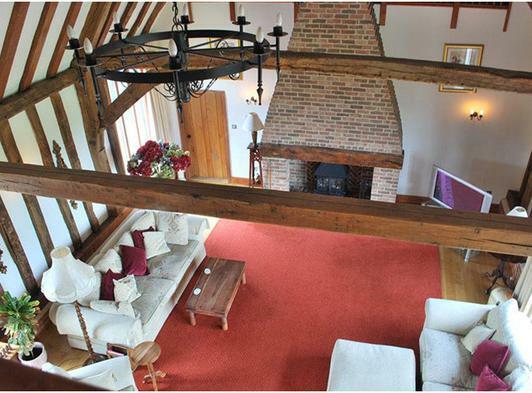 Relax and unwind in a delightful 16th century grade II listed Suffolk barn which has been lovingly renovated to a high standard retaining all the original oak timbers and features which offer a unique blend of timeless elegance and modern luxury, a haven for those looking for a serene country escape which is ideally situated for our guests to get away from the hustle and bustle but still conveniently placed to explore the delightful towns and villages of Suffolk. 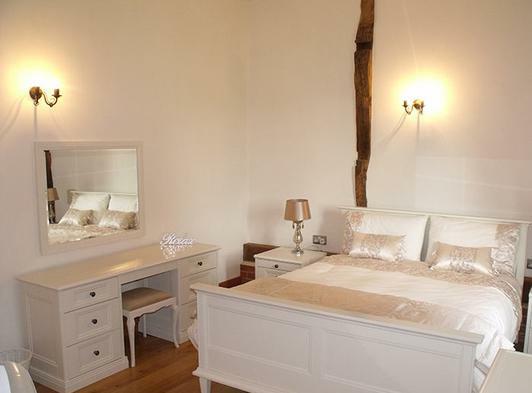 Doves Barn is perfect for families and special celebrations - a truly magical place to stay. 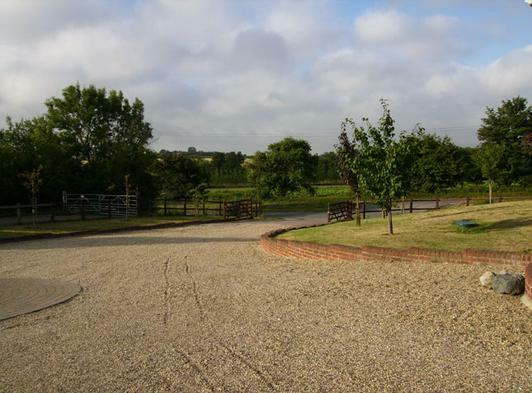 Discover for yourself this unspoilt corner of rural Suffolk and all it has to offer, the location is close to all the necessary amenities and an excellent base to explore and enjoy our panoramic views of rolling countryside and our unspoilt coastline. 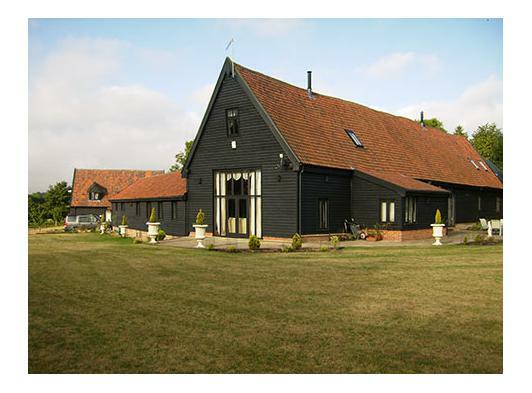 This spacious Barn conversion is set in 2 acres of ground and provides well furnished accommodation with delightful views over open countryside. 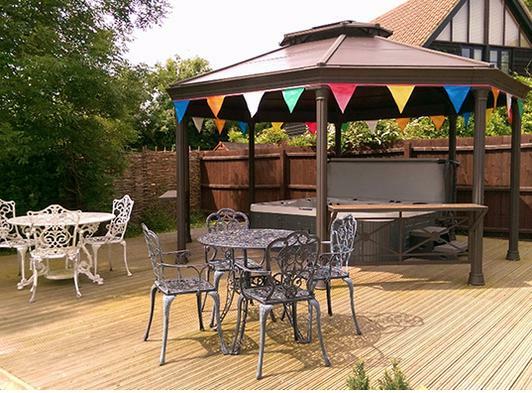 There is a 6 person hot tub for guests to enjoy, as well as 2 patios and a spacious courtyard ideal for al-fresco dining. 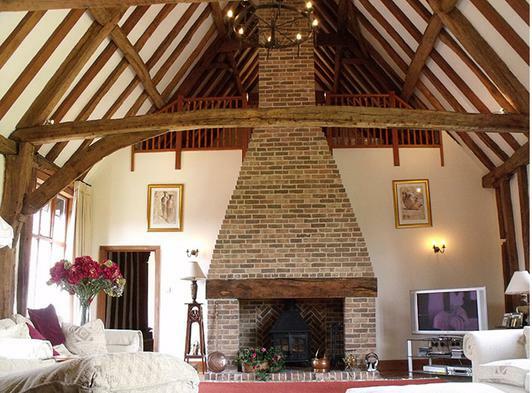 The holiday Barn has a wealth of exposed beams, a vaulted ceiling in the living room and a warm welcome all year round with wood burners in the large inglenook fireplaces. 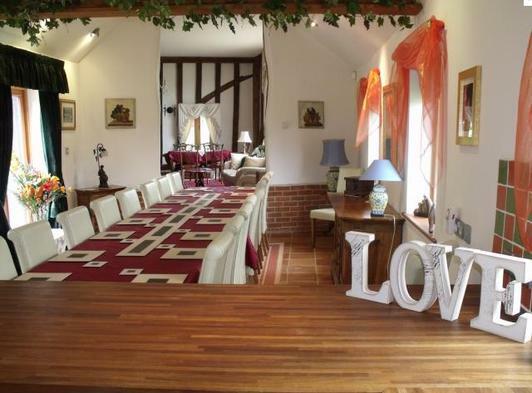 It is an ideal location for family celebrations or get together with family and friends with Needham Market just of a mile away. 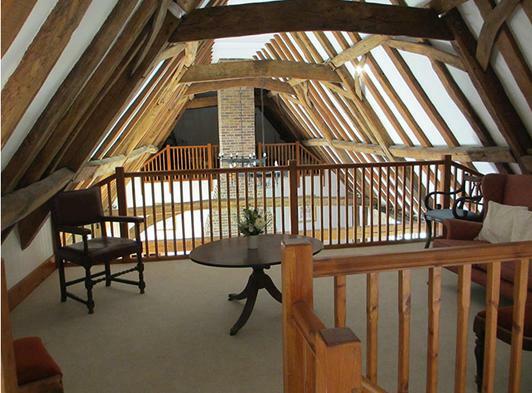 Doves Barn can accommodate up to 22 guests - there are six bedrooms with an addition of two galleried areas with double 5ft beds. 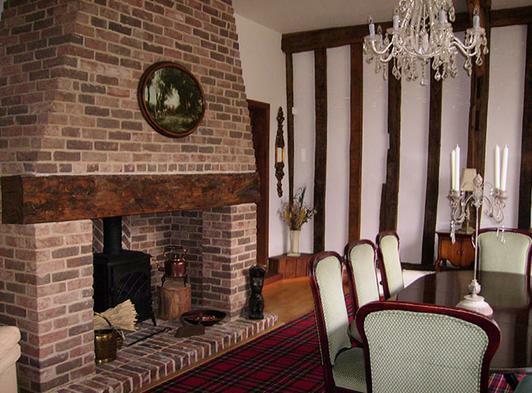 Ground floor: living room with wooden floor and French doors. Dining room with wooden floor and French doors. 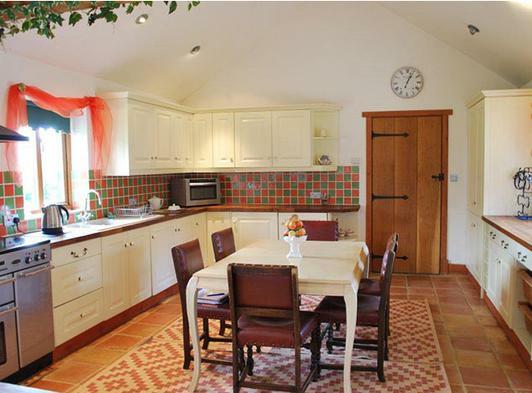 Kitchen with breakfast area. Utility room. 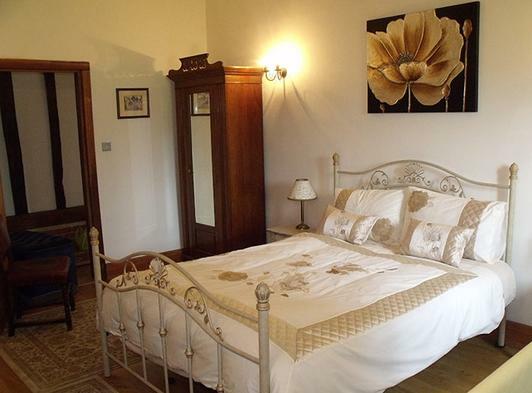 4 bedrooms: 2 Doubles, 1 twin & one large room with 3 single beds and a double bunkbed. 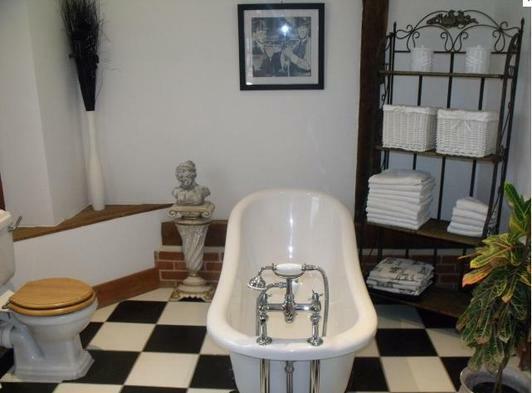 There are two en-suites downstairs. One Bathroom with roll-top bath and shower cubicle and toilet. 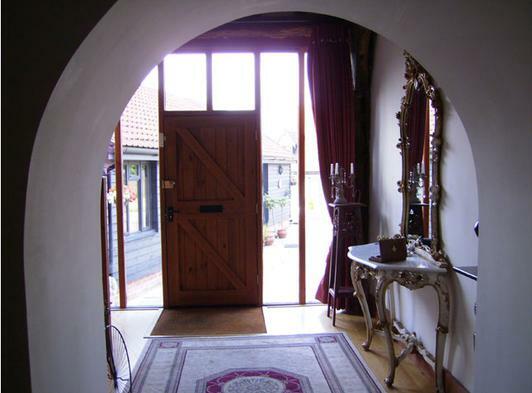 Spiral staircase to first floor: 1 double bedroom with en-suite shower and toilet, leading to galleried area with double 5ft bed and a single. 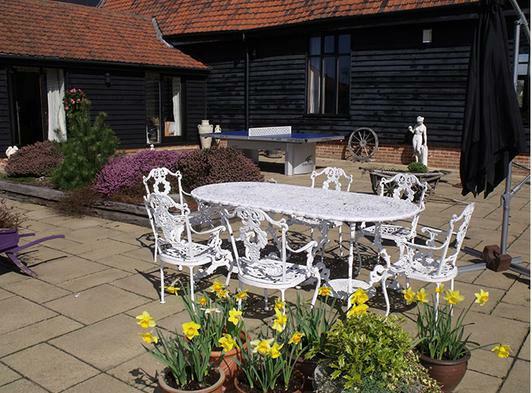 The property provides an excellent base for walking cycling or bird watching and is also conveniently situated to visit the Museum of East Anglia. Direct train links to London, Bury St. Edmunds with its Cathedral Abbey grounds, and towns of Ipswich, Norwich and Colchester are all within easy reach as are Long Melford, Lavenham and Kersey. Enjoy the unspoilt delights of the Suffolk Heritage coast including Aldeburgh, Dunwich, Walberswick, Southwold and the ancient burial ground at Sutton Hoo. There are shops, pubs and restaurants around a mile away.